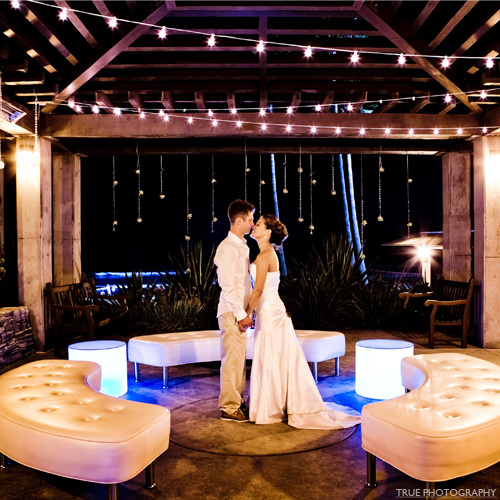 Your wedding day is supposed to be the happiest day of your life, and the right wedding furniture rentals can make it all the more special. However, with so much choice and such a variety of different styles on the market, choosing your wedding furniture can be very confusing. 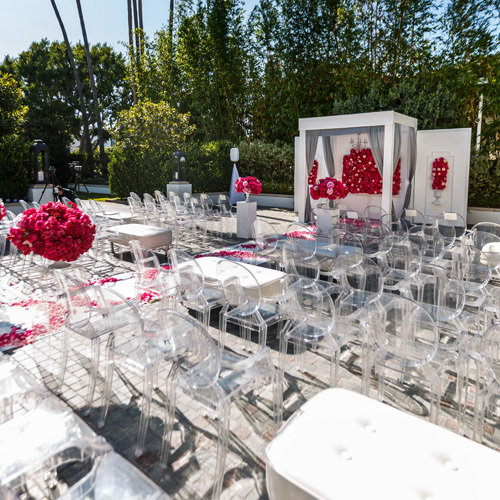 We’ve put together a list of “do’s and don’ts” when it comes to renting wedding furniture, to help you get it right on your big day. Before you start, it’s important to have a good idea of the number of guests you will need to accommodate. This is the only way you’ll be able to work out a realistic budget. Otherwise you could end up choosing the perfect furniture, only to discover you can’t afford it. Once you’ve arrived at a figure, you can start looking at the available options within your price range. If you already have an idea of how you want your dream wedding to look, choose a company that can provide you with wedding furniture that fits in with your vision. Have a look through portfolios online to see which companies’ stock are in line with your own ideas, then start making appointments to meet with them. 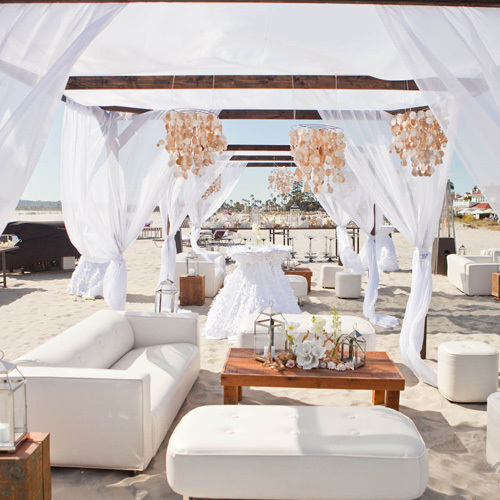 If you don’t have a clear image of the look of your event in your mind, it’s a good idea to arrange a consultation with a company that is experienced at providing wedding furniture rentals and can accommodate a wide variety of styles. They will be able to talk you through various ideas and help you create the look of your wedding, adding another element of glamour to your perfect day. Choosing the right furniture rental company is one of the best ways of guaranteeing your wedding runs as smoothly as possible. It’s vital that the company you choose has plenty of experience of providing wedding furniture specifically, rather than just catering for other events. This way you can be sure they will have an understanding of the logistics of weddings and will be able to work with you to provide what you need. Always ask to see portfolios of previous weddings they have supplied furniture for, and if possible get some reviews from previous customers. You need to make sure you are hiring a company that will deliver the specific wedding chairs and furniture you have requested, at the right time and place. Do they require a deposit, and if so, how much? Most companies will, and it is usually non-refundable. You will generally have to pay this amount when you make your booking. Will the company deliver your wedding chairs and furniture to your venue, and set it up for you? Will you have to prepare the furniture for collection in any way after the wedding? This is often the case for wedding chair rentals – many companies will require you to fold the chairs and/ or place them back in any protective coverings they were wrapped in when they were delivered. When choosing the w﻿﻿﻿﻿﻿﻿﻿﻿edding chairs﻿﻿﻿ and furniture you need, you should think about the guests you’ve invited, and also the shape of your venue. Consider mixing up different shapes and sizes of tables at your reception to make the most of the available space and also to seat different groups of people. For example, you could seat a large family group at a long rectangular table, whereas a smaller party of friends could be seated around a circular table. This will make your room arrangement look more interesting and ensures everyone can be seated with people they know. You should never enter into a contract with a wedding furniture rental company before you’ve done your research thoroughly and had a face to face consultation with them. 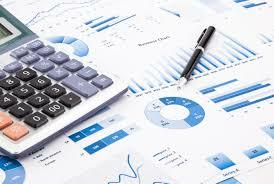 Make sure you get all quotes in writing, and always watch out for hidden costs. For example, you’ll need to establish whether delivery and set-up of the wedding chairs and furniture is included in their quote, or whether they will expect you to pay extra for it. Take your time and find a reputable company that can accommodate all your needs at a price that suits you. That way you’ll save yourself a great deal of stress in the run-up to your wedding. Once you’ve chosen your company, you will probably be tempted to fuss and try to “manage” them. The whole point of using professionals is to take this stress off yourself so you can concentrate on other aspects of your big day! Remember, they are experienced and they know their jobs. Take the weight off yourself. If your wedding is outdoors, it’s vital that the company you choose can supply the right furniture for the setting and climate. Not only will this make a huge difference to the experience for your guests, it can also provide a beautiful backdrop for your wedding photos. Don’t forget your guests will need spaces where they can relax at various points during the day, particularly in the evening. You’ll probably be excited enough to dance all night, but most of your guests will need to take the weight off their feet! It’s worthwhile choosing a company that offers wedding sofa rentals as well as the standard chairs and tables. Including sofas in your design layout will help to create a relaxed and friendly vibe as well as offering your guests some much needed breathing space! They can also make your venue look classier. It’s likely that some of your guests will be bringing their children to your wedding. Make sure they are catered for by providing relaxing areas where they can sit with the kids if they need to cool off. You could also consider providing high chairs for babies and toddlers at the reception, especially if your guests have to travel a long way and may not be able to bring their own. You’ll no doubt be reading every bridal magazine you can get your hands on, checking out the latest trends. Don’t forget, this is your day! Fashions come and go, but the memories of your wedding will last forever. It’s important that your wedding looks and feels the way you want it to. For more advice about choosing the perfect wedding furniture rentals, contact Lounge Appeal, for a day you will cherish for the rest of your life.